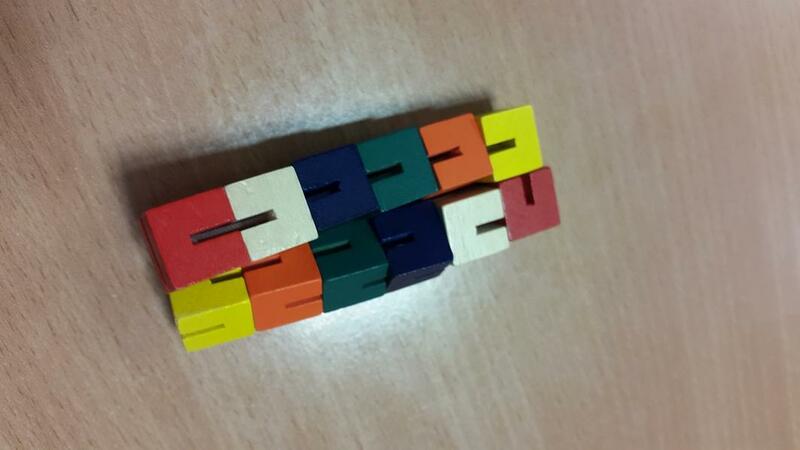 The product you have is a Wood Fidget Puzzle manufactured by Toysmith. It is twelve &half;" non-toxic stained wooden blocks. Toysmith only sells this product wholesale to retailers, so there's no official product page for me to link to. Toysmith is a wholesale supplier to retail stores and promotional markets, we do not sell direct to the public. That said, this particular toy is often marketed as a stim toy for fulfilling children's sensory needs, rather than as a puzzle. It's called a Kibble Cube and has colored or patterned variants. 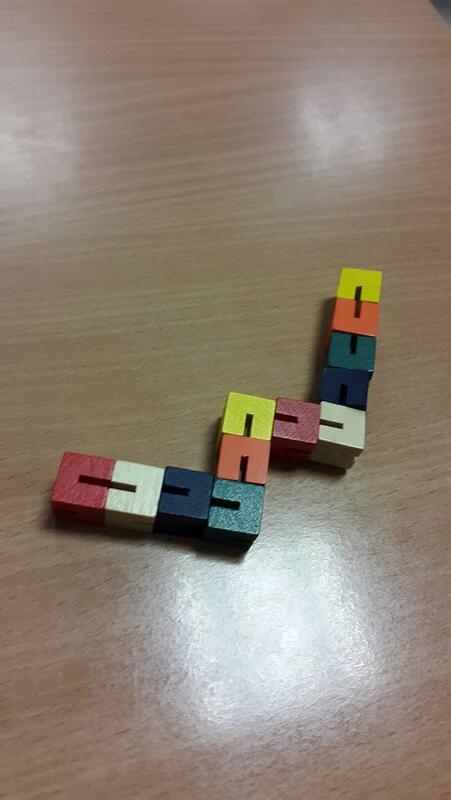 It seems to be the Flexi Puzzle made by Brainwright. However, I think the marketed version is made from plastic, while yours seems to be painted wood. The Flexi puzzle booklet shows drawings of various shapes with all or just some of the blocks coloured. You then have to copy that, making sure you get the colours correct. Not the answer you're looking for? Browse other questions tagged puzzle-identification mechanical-puzzles or ask your own question. How to solve wooden octagon box puzzle?